In the early years of the twentieth century, Beaufort became home to a thriving film industry when the Kalem Film Company of America decided to use the Beaufort Bar as their base for four seasons of filming between the years of 1911 and 1914. During this period, over seventy feature films were produced, each of about 20 minutes duration, which was the norm at the time. The films were all based on Irish themes, and the early movies were often stories about the trials and dangers of Irish rebels, with titles such as “Ireland the Oppressed”, “Rory O’Moore” and “Robert Emmet”. 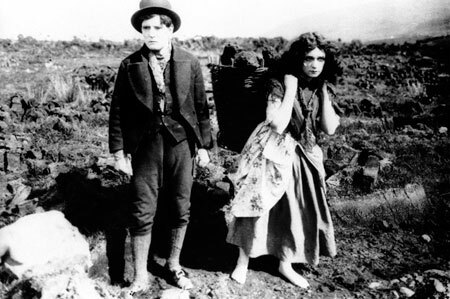 As the films became extremely popular the powers that be became increasingly worried that they could spark an uprising, and pressurised the company into agreeing that future themes would be more romantic, giving rise to movies such as “The Colleen Bawn”, “A letter from America”, “The Irish Emigrant” and “The Fishing Maid of Ballydavid”. The Kalem Company of America and their moving pictures were beyond the wildest dreams of people living in a rural Irish village at that time, and Annie O’Sullivan of the Beaufort Bar, who was then in her early teens, remembers….. “We were waving goodbye to some guests when an American drew up and said they were making moving pictures. My father said we had never seen anything like that but we had ‘Magic Lantern’ pictures. They told us that it was the same system except that the people in their pictures moved”. Practically the whole local population went on to appear as extras in the movies, which generated great excitement in the village, especially the novelty of dressing up in the ‘fancy costumes’. The company itself was formed in 1907 by George Klein, Samuel Long and Frank Marion, the K.L.M. initials of its founders developing into the name “Kalem”. 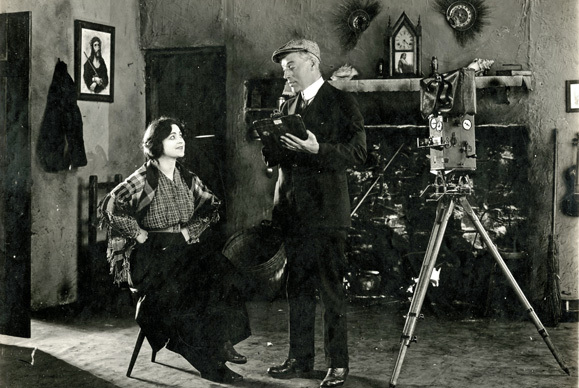 On a ‘test run’ to Killarney in 1910, director Sidney Olcott made a film called “The Lad from Old Ireland”, which is reputed to be the first movie ever made outside America. This film was a huge success so they came back the following year prepared for a much longer stay, choosing the Beaufort Bar as their base, as it was to remain for the next four years. Gene Gauntier played the leading lady in many of the films, often starring alongside Jack Clarke. 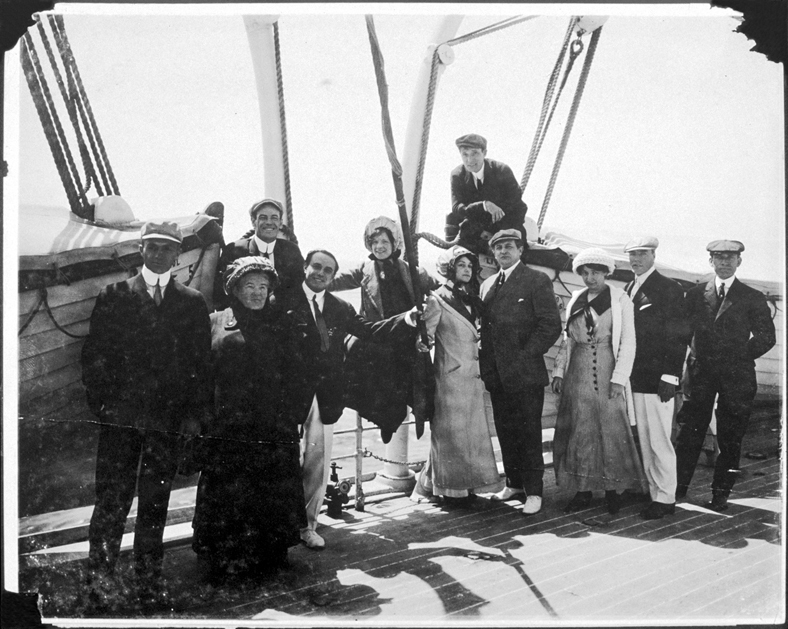 Other stars include Jack Melville, Bob Vignola, Alice Hollister, Arthur Donaldson and Jack McGowan. By the autumn of 1914 Olcott had plans to build a permanent studio in Beaufort, but unfortunately the outbreak of the Great War prevented this and led to the departure of the Kalem Company from Beaufort forever, leaving the locals with enduring memories of what was, and dreams of what might have been. Many stills from the Kalem movies today adorn the walls of the Beaufort Bar and Restaurant, evocing memories of this historic period of Beaufort’s past, and providing a unique photographic record of what the area was like at that time.